Activate the press using Down Arrow and switch the conveyor belt directions with Spacebar. 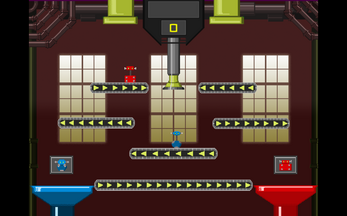 Send the blue robots to the blue pipe and the red ones to the red pipe. 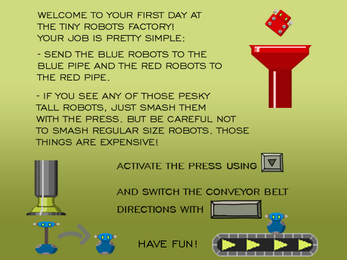 If you see any of those pesky tall robots, be sure to smash them with the press. But be careful not to smash regular sized Tiny Robot™. Those things are expensive! And don't forget the golden rule: 3 Strikes and you're out! Music: Ride by Pocketmaster taken from freemusicarchive.org. 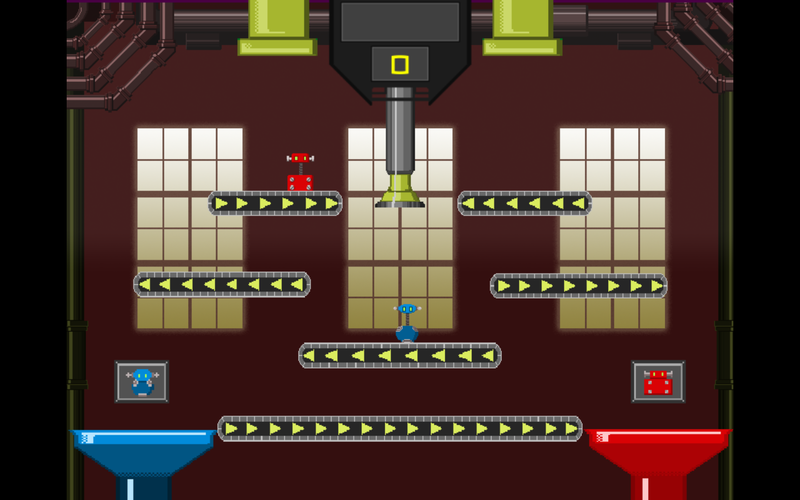 A very fun game with simple controls, and it is hard. I really enjoy it!